Much has been made of the divorce between the Pittsburgh Steelers and stars Antonio Brown and Le’Veon Bell this offseason. Brown forced a trade to the Oakland Raiders while Bell left for the New York Jets in free agency following a season-long holdout as both departed Pittsburgh on bitter terms. While the two are superb talents, they’re also outspoken and prone to off-field headlines that are believed to have irked management and conflicted with the concept of Steelers culture. Different rules for Roethlisberger, other Steelers? The Rooney brothers, who own the team, were apparently so perturbed with Brown — who was benched for last season’s finale and allegedly involved in a domestic incident with his child’s mother — that they were willing to part with arguably the best receiver in football for the pittance of a third- and a fifth-round draft pick. Meanwhile, the Steelers have continued to move forward with quarterback Ben Roethlisberger, a player whose off-field résumé includes accusations of sexually assaulting women in Georgia and Nevada. 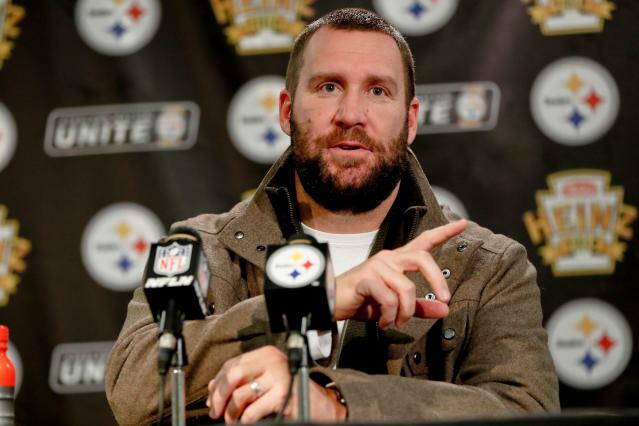 The continued support for Roethlisberger has raised questions as to why the Steelers seem OK with his alleged transgressions while losing patience with Brown and Bell. An accusation from former Roethlisberger teammate Josh Harris of an on-field transgression has only raised the volume on accusations of Steelers hypocrisy in terms of favoring Roethlisberger. Harris, a running back with the Steelers in 2014, wrote on Twitter last week that Roethlisberger fumbled on purpose at the end of an AFC North-clinching win over the Cincinnati Bengals to spite offensive coordinator Todd Haley for a play call he didn’t like. The Steelers went on to win the game, but fumbling on purpose to spite a coach obviously doesn’t get filed under the Steelers way of doing things. Roethlisberger’s backup in 2014 Bruce Gradkowski painted a different picture of that fumble on Monday in a detailed Twitter post with video and commentary. Gradowski described the fumble as coming on a play where the fullback was lined up in an unusual position, and Roethlisberger forgot about it, leading to a collision and the fumble. We’ll likely never know Roethlisberger’s true intentions on that play. Pittsburgh had a 27-17 lead on that game. If Roethlisberger wanted to make a point to spite Haley, there was little risk of a fumble changing the outcome of the game. Gradkowsi’s interpretation just provides another perspective on Harris’ unverified account of what happened. Intentional fumble or not, the valid questions on the Steelers treatment of different stars with different levels of transgressions aren’t going away. Roethlisberger has escaped scrutiny in remarkable fashion considering the multiple accusations in his past and the cultural climate of 2019.